We are proud to offer you high quality upholstery kits. Our upholsterer is one of the best in the business, making all of our kits with new foam, new upholstery, precision and artistry. Perfect for updating any chair. 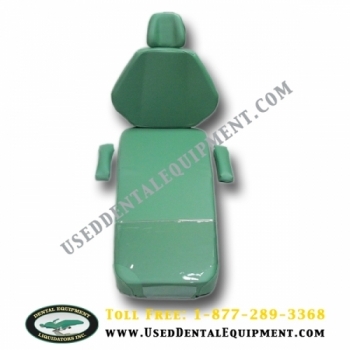 *A-dec 1010 Chairs Can Vary - Headrest & Arms In Particular - We will be requesting images of your existing chair (s) when ordering our kits. This way, your new kit(s) fit perfectly and are the exact configurations.